This has been doing the rounds on the Chinese internet and it's quite amusing. 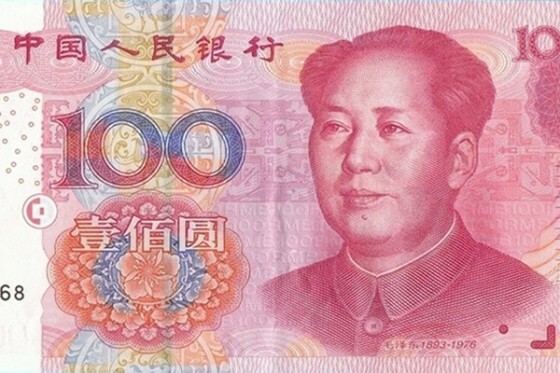 That a 100 yuan/renminbi note featuring Mao Tse-tung. 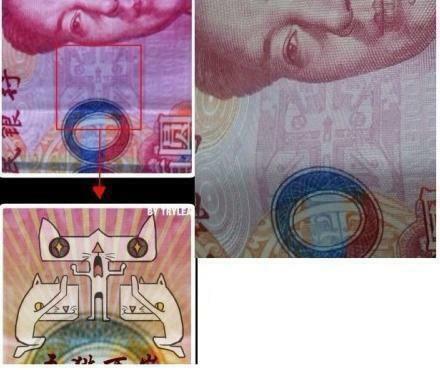 One astute Chinese internet denizen was looking closely at the new anti-forgery designs on the note and spotted an odd bit of cat worship. Can you see it? Anyone? 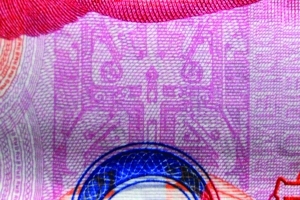 There it is, in the pink pattern (contrast increased to make it more visible). Ah, it all becomes clear. And that's what's big on the Chinese internet right now. Yeah, so not all the articles on this blog are... uh... good. 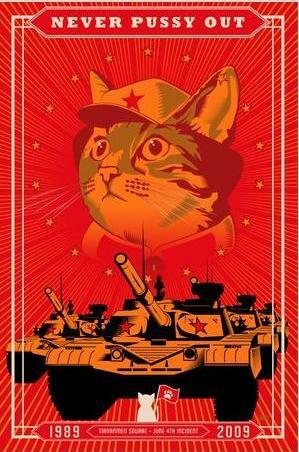 Oh and while I'm at it on the mention of Mao, I'm pretty bored of the lazy Chairman Miao puns that moronic cat owners seem to love. Written in pinyin (the system for writing Chinese words in our alphabet) his name is indeed "Mao", but the Mandarin word for cat is also "mao" so his name's already Chairman Cat. Oh, except the two words are pronounced in different tones so it doesn't really work. Either way, just frigging stop it. This one's pretty good though. what about the drugs, man?